Oh Pinterest, how I cannot forsake your delicious recipe finds. 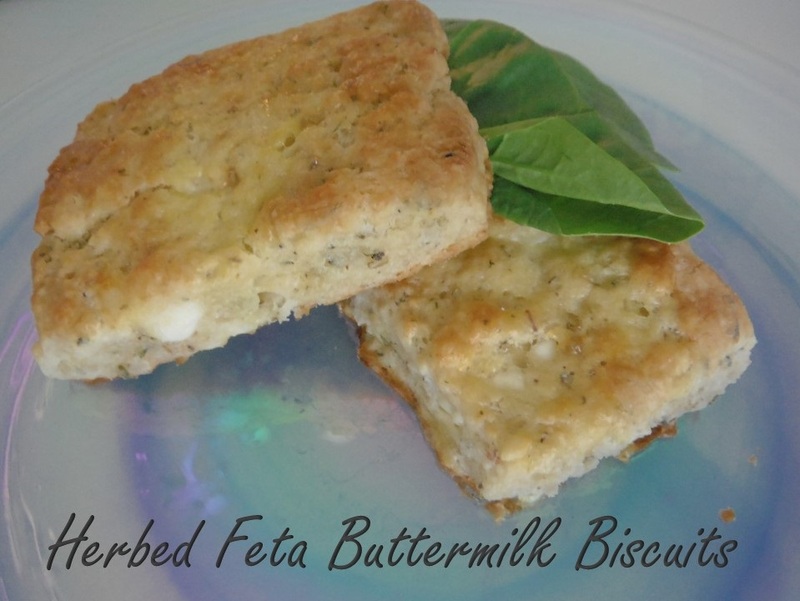 These Herbed Feta Buttermilk Biscuits may not be diet worthy, but they are oh so delish, and perfect for the upcoming Holidays! Whisk together the flour, baking powder, salt, and herbes de Provence in a large mixing bowl. Add the cubed butter, and cut in with a pastry blender until it resembles coarse cornmeal, and there are no pieces of butter larger than a pea. Whisk together the buttermilk and egg in a small bowl, and pour over the butter-flour mixture. Gently fold in until just absorbed; fold in the feta until it resembles a shaggy dough. Turn the dough out onto a lightly floured surface, and knead 6-8 times, or just until cohesive. Pat out into a rough rectangle, about 1/2-inch thick. 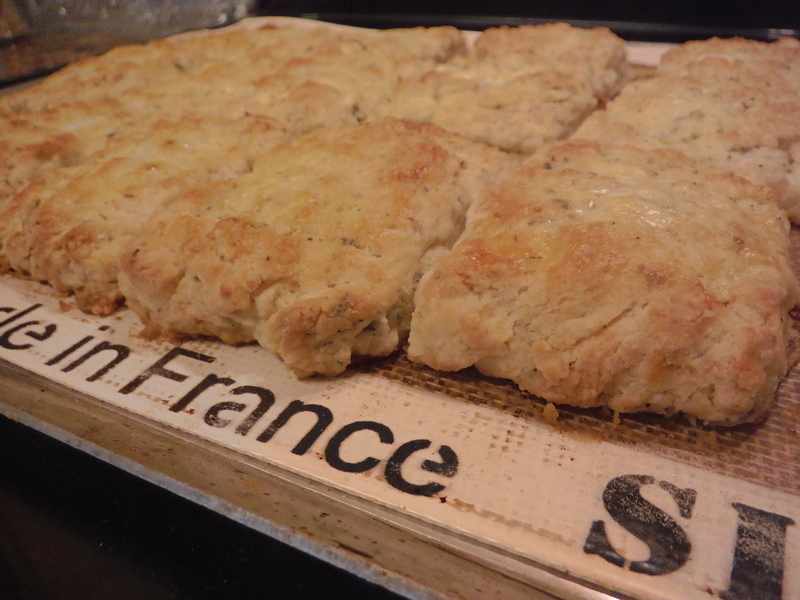 Cut into 8 equal rectangles for large biscuits, or 16 triangles for smaller ones. Brush with egg wash (the water-egg mixture), and bake for 17-20 minutes, or until the tops are lightly golden. Allow to cool slightly on a cooling rack. Makes 8 large or 16 medium biscuits. Melted butter will likely pool around the biscuits when baking. Be sure to remove the biscuits to a wire cooling rack immediately after taking them out of the oven, so that they don’t absorb it and get soggy. For the freshest biscuits, only bake off those that you’ll eat within 24 hours; the rest can be frozen raw (stop just before adding the egg wash) and baked off from frozen at a later time. Simply cook for 2-3 minutes longer.